Prime Minister Justin Trudeau has acknowledged the federal government is aware of the significant economic stakes for SNC-Lavalin Group Inc. (SNC.TO) and Canada amid the intensifying scandal surrounding allegations the Prime Minister’s Office pressured former attorney general Jody Wilson-Raybould to help the Montreal-based engineering and construction giant avoid criminal prosecution. “Obviously, I’ve heard from many MPs, I’ve heard from premiers, I’ve heard from Canadians who are aware of the thousands of jobs at SNC-Lavalin; and this is an issue that, of course, we take very seriously as a government,” Trudeau told reporters in Vancouver Monday afternoon. According to an SNC spokesperson, the company currently has approximately 9,000 employees in Canada, representing 18 per cent of its total workforce. In his remarks Monday, Trudeau also said he continues to have "full confidence" in Wilson-Raybould, whom he moved to the veterans affairs portfolio in January. 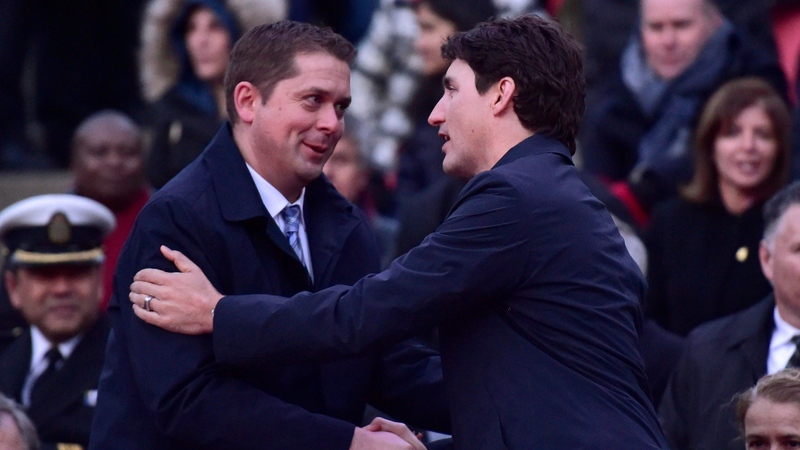 The issue has been dogging Trudeau since last Thursday, when The Globe and Mail, citing anonymous sources, said the PMO leaned heavily on Wilson-Raybould to instruct the director of public prosecutions, as allowed by law, to negotiate a remediation agreement with SNC-Lavalin. That would have allowed SNC to pay reparations but avoid a criminal trial on charges of corruption and bribery in relation to its efforts to win government contracts in Libya. On Monday, ethics commissioner Mario Dion announced that he has launched an examination of the allegation, saying he has "reason to believe" there may have been a possible violation of Section 9 of the Conflict of Interest Act. Section 9 prohibits a public-office holder from seeking to influence a decision so as to improperly further another person's private interests. Trudeau said he respects Wilson-Raybould's view that she can't comment on the controversy due to solicitor-client privilege -- an issue he said is complicated and on which he's asked David Lametti, Wilson-Raybould's replacement as justice minister and attorney general, for advice. Lametti echoed that message after speaking to a Canadian Bar Association meeting Monday. While he declined to say much about a case that is before the courts, he did say there was nothingwrong with Wilson-Raybould's being involved in internal discussions about whether to let SNC-Lavalin avoid a criminal trial. "It is important to remember that while the attorney general sits at a certain distance from his cabinet colleagues, in Canada -- unlike in other countries -- he does not work in isolation from them, or the important experiences or considerations that those colleagues bring to the table. These discussions can improve the quality of decision-making," Lametti said, speaking of the duties he now had. -- With files from Jim Bronskill, Laura Kane in Vancouver and Kevin Bissett in Fredericton.